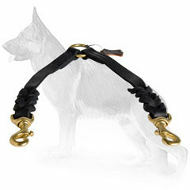 Dear German Shepherd owner, today we want to offer you this Excellent German Shepherd Leather Dog Leash! 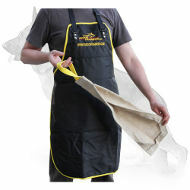 It is a top quality equipment which combines practicability and style. It is multifunctional and will become a perfect training tool and a good equipment for everyday walking. 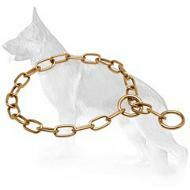 It has attractive decoration that will make your dog look cool and stylish! Make your dog the most stylish pet in the neighbourhood! 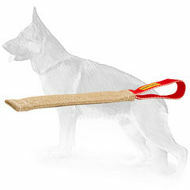 Purchase this leash and impress everybody on the streets! High quality materials. 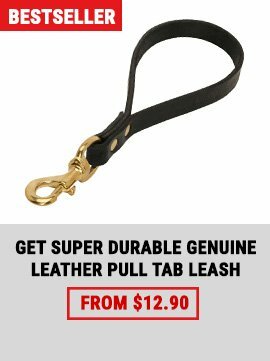 The leash is made of 100% full grain genuine leather and all metal parts are corrosion resistant and rust protected. Comfort. The leash won’t rub or irritate your palms as well as it won’t make your pet feel uncomfortable during walking. Easy adjustment. 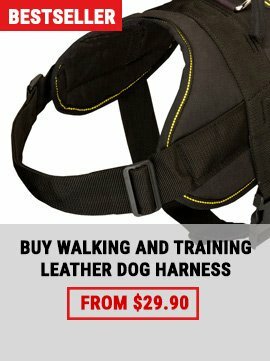 A strong snap hook will allow you to attach the leash to a collar/a harness and will make you sure that you will be able to handle your dog without any difficulties. Stylish design. 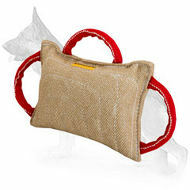 The leash is decorated with stylish braids, which will make your dog look cool and gorgeous. Catch the stares of the people on the streets! Durability. 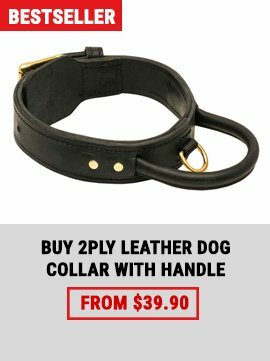 You can be sure that your dog won’t probably be able to break or damage the leash, because leather is quite strong material (but don’t allow your German Shepherd to chew the leash).